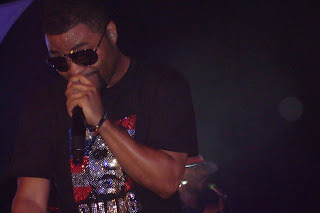 I attended Musiq's performance in Denver at a DNC afterparty hosted by Perennial Strategy Group (who by the way, put on the most organized after-parties I've ever attended in my party life) Musiq is straight up a performer-he rocked us into a frenzy at his show. 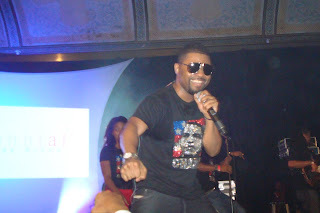 The crowd was entertained by the soulful child and his amazing band for 1hr 1/2. Please rock out with him-he's on tour this month and his project, onmyradio is slated for a late November release. It took me one quick minute to process his current single, "Radio", but only a quick minute because the song truly rocks- it's different for him. I spoke with him at the ASCAP Awards a few months ago and I mentioned how "different" his single was and he stated, "but it's not different for radio".